This is a blog post by NTUC Assistant Secretary-General, Melvin Yong. Any extracts should be attributed back to the author 19 September 2018. The Lift – it has become an everyday amenity, some even say necessity, that we often take for granted. We take the lift many times a day – at our residential block, at our workplace, at the MRT station, at the shopping mall. Lifts are everywhere in Singapore. Today, there are about 67,000 lifts in Singapore and this number is set to exceed 70,000 in the years ahead. Lifts, like all machines, are only as good as their maintenance. This is more so for the lifts which are used frequently in our daily lives. First, several of our lifts in our HDB estates were built in the 1970s and 1980s. The ageing infrastructure would require closer monitoring and more regular maintenance. Second, as our buildings get taller, the lifts now have to stop at even more floors than before. This creates more wear and tear in the lift mechanism and more frequent replacement of parts. Third, the rapid rise in the number of lifts in recent years has also fueled the demand for lift maintenance services. Today, we have about 2,100 lift technicians looking after the 67,000 lifts spread across the island. 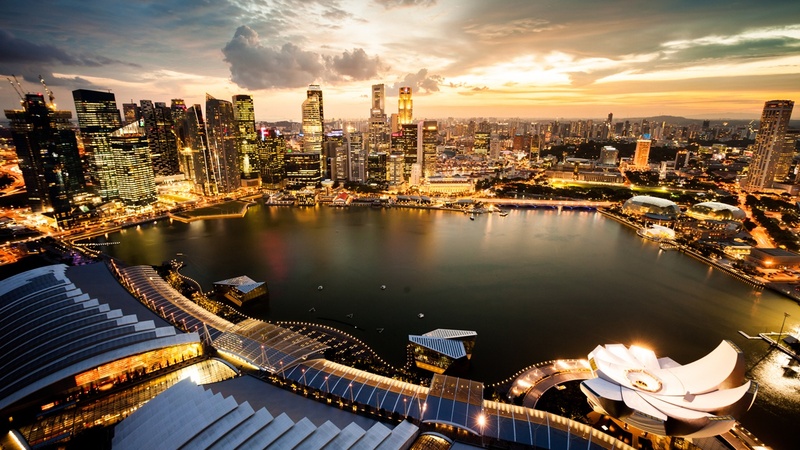 Of the Singapore residents in the industry, an estimated 50 per cent are aged 50 years and above. These older lift technicians will retire over the next decade. We need new and younger Singaporeans to join the industry urgently. 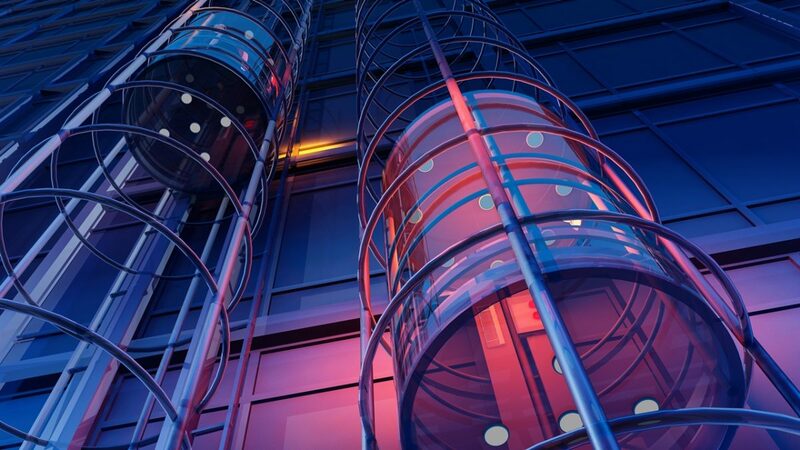 Based on the estimated increase in the number of lifts and the demand for lift maintenance services over the next few years, the industry would need hundreds more lift technicians than what we currently have. During my visits to the lift companies, I was able to have a better understanding of their manpower needs. My own estimate is that we would potentially need up to 1,000 more lift technicians in the coming years. To ensure that our lifts are adequately maintained, we must enlarge our pool of trained lift technicians immediately. We need to build a pipeline of talents. We need to be able to attract young Singaporeans to join the industry. We will need to revamp the lift industry! At the first Lift & Escalator Sectoral Tripartite Committee meeting. For years, the lift technician job is looked upon as dirty, demanding and dangerous (read more about this in Melvin’s first blog post on the lift industry). I am determined to change this perspective. I was therefore happy to be appointed as co-chairman of the Lift & Escalator Sectoral Tripartite Committee (STC) in January 2017. Working closely with the tripartite partners, our aim is to transform the profession to one that is desirable, disciplined and dependable. To do so, we would need to address three key areas – better wages, higher skills, and better working conditions. One key task of the STC was to review the wages for lift technicians and to propose a competitive pay package to attract locals into the industry. The starting basic pay of a bus captain today is around $1,950 compared to $1,300 for a lift technician! 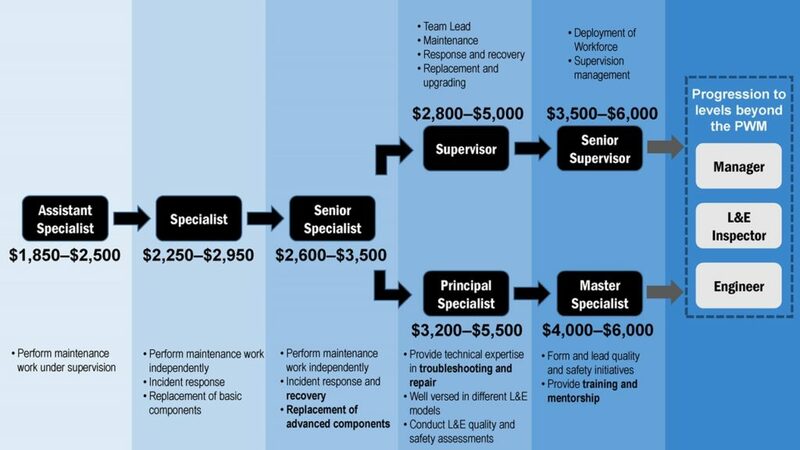 Due to the dynamics of the industry – lift companies of varying sizes, service buyers requiring different lift maintenance requirements, reliance on foreign manpower – the STC is recommending to introduce a mandatory Progressive Wage Model (PWM) for lift technicians that will help ensure industry-wide adoption to successfully transform the lift industry. The aim is to attract locals to join the lift industry and retain them through continual upgrading under the PWM. It would also help prevent possible wage “reset” each time a service contract is renewed due to cheap outsourcing. The proposed PWM will cover four key areas: better jobs, higher skills, better remuneration and raising productivity. The structure of the proposed PWM. The proposed PWM serves to provide two progression pathways for lift technicians. The supervisory track offers opportunities to progress and build up management capabilities, while the specialist track caters to those who prefer to deepen their technical skillsets. As part of the efforts to rebrand the lift sector and its job opportunities, the STC also recommends new job titles under the proposed PWM to reflect the increasing complexities of the job and the multitude of competencies required. More crucially, the proposed PWM recommends a significant increase (40 per cent!) in the basic starting pay of our lift technicians – from $1,300 to $1,850 for an assistant lift specialist while a trained lift specialist can expect to earn a minimum basic pay of $2,250. Currently, there are no standardised minimum requirements for existing lift maintenance personnel at the rank-and-file level. Training is primarily conducted in-house by the lift companies, with no standardised curriculum across the industry. To support the proposed PWM, the STC recommends implementing a structured training and certification framework to professionalise the workforce and to ensure that both new entrants and existing workers are equipped with the relevant key competencies. Our lift technicians work under demanding working conditions (click here for a peek into the life of a lift technician). Lift shafts and motor rooms are usually dark and stuffy places, and maintenance work is physically strenuous. Working hours are long and unpredictable due to emergency calls and the need to perform maintenance work during off-peak hours. The STC is recommending a coordinated push to improve the work environment and conditions in the lift industry. 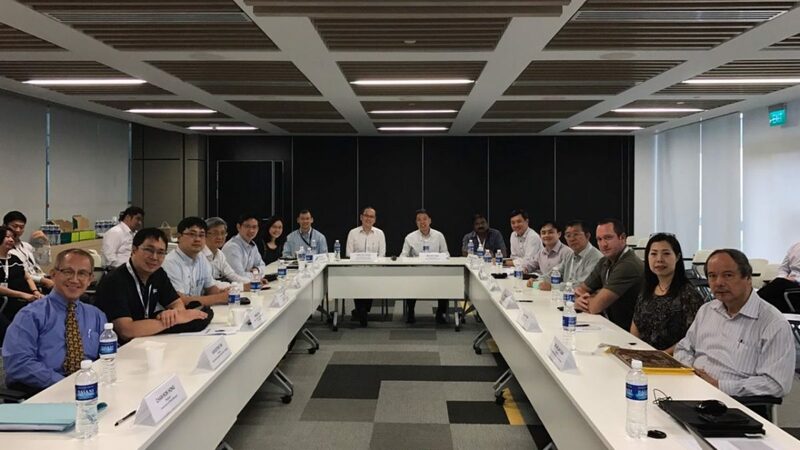 First, the Singapore Standards Committee is reviewing the lighting levels within the lift shaft to ensure sufficient illumination for our lift technicians. Second, the Building & Construction Authority (BCA) is working on measures to create a cooler environment within the lift shaft and the motor room. 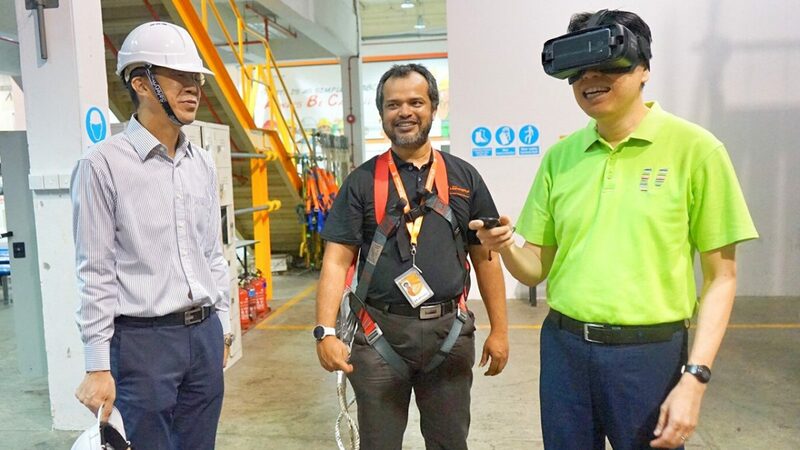 Third, BCA will review regulations and procurement framework to facilitate the adoption of technology that can help streamline existing work processes and improve productivity. 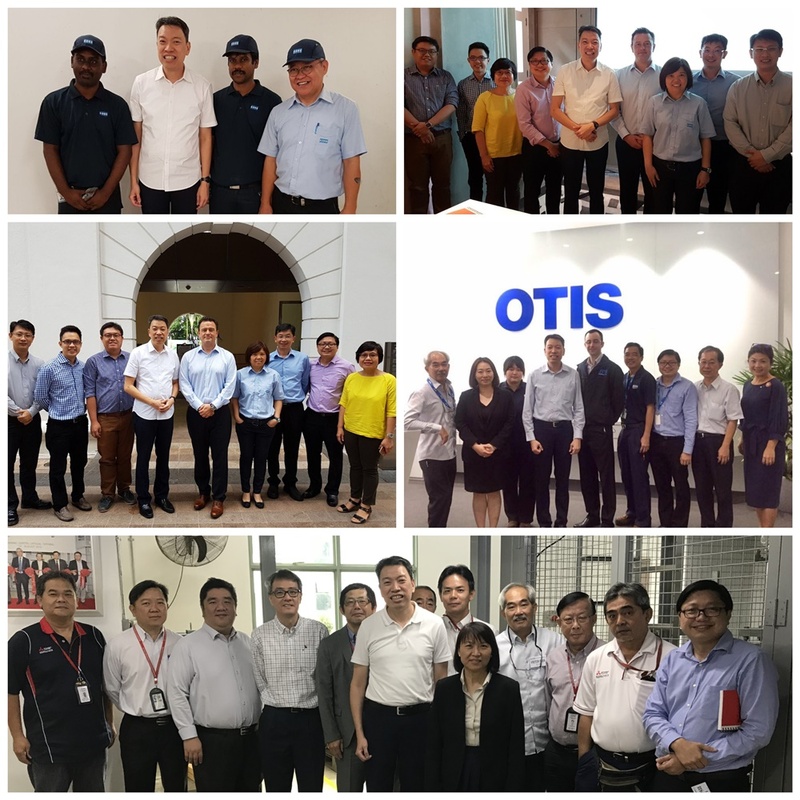 A snapshot of the many engagements with the various stakeholders in the lift industry. The STC recommendations that is released today is the result of 20 months of hard work – many one-on-one meetings with associations, service buyers and service providers; worksite visits to better learn and understand best practices; and dialogue sessions with our unions and workers to understand the challenges on the ground. Can the PWM be mandated to create a more level playing field for all service providers? Can service providers renegotiate existing contracts? Can we retain experienced lift technicians beyond retirement age to train new entrants? Can we raise the wages of our lift technicians? Can working conditions be improved? We have come a long way since the STC was started in January 2017. With the strong support of our tripartite partners, I believe we can make these recommendations real for our lift technicians so that they are able to enjoy better wages, better welfare and better work prospects. Lift maintenance work is often perceived as a blue-collar and thankless job. Our lift technicians do an important job every day (and often nights) to facilitate our vertical transportation, and they are proud of what they do. We should be proud of them too! Latest: The L&E STC recommendations were formally accepted by the Government on 19 September 2018. Read all about the STC recommendations here. Next post What does a Data Scientist Do?